At the time of writing (14/02/13), the answer is NO, for full coexistence with Exchange 2013 you need to have Exchange 2013 CU1 (Cumulative Update), which at this time is unreleased (Expected Q1 of 2013 – so we are not far away). 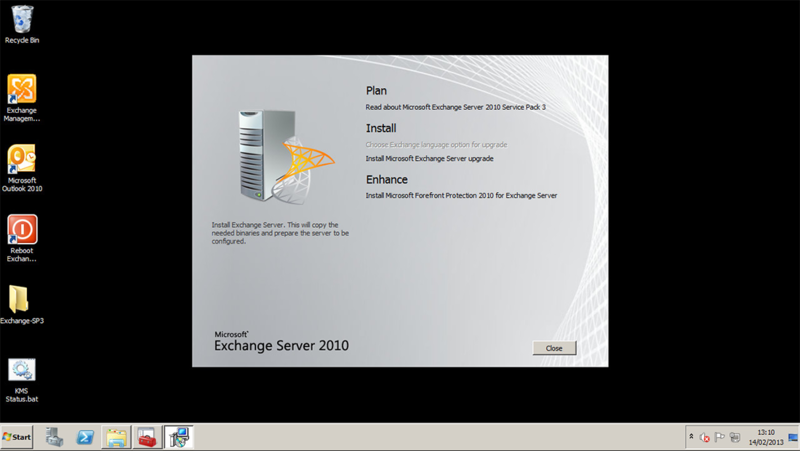 So What do I get with Exchange 2010 SP3? 1. You can install Exchange 2010 on Windows Server 2012, (though you can’t in-place upgrade the OS of an existing Windows 2008 R2 server to 2012). 2. Full support for Internet Explorer 10. 3. All fixes from previous update roll-ups, (including MS13-012). You will need to perform an AD schema update to install SP3.